Liczba stron: 258 Jest to ujednolicona liczba stron, która ułatwi Ci porównanie długości książek. Każda strona Legimi to 200 słów. Tyyr is a member of Valsair’s secret police. As part of the House of Ravens, she is the first to gather information for her king. She’s a killer, a spy, efficient and self-reliant.Rumors of a dissenting lord passes through the Houses, and they send Tyyr to investigate. 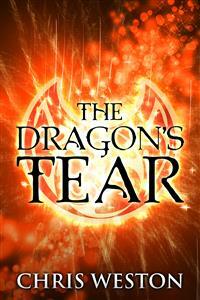 The heart of the matter is a mysterious jewel known as the Dragon’s Tear. The gem attracts dangerous foreigners into the country, causing chaos and mayhem to claim their prize. Tyyr must use every talent and skill she has to return to the capitol, as her morality and mortality are pushed to their limits. I wish to thank Robin, Bruce, and Martha, because I learned so much with their help. To all the writers I meet and interact with on a weekly basis, you’ve all taught me so much.